Do you ever wish that you had more number of hours in the day? It’s not because you have a lot more to do than the available amount of time in a given day. It is because you fail to plan your day effectively. Most of us tend to get distracted easily by surrounding activities. Distraction defocuses the mind and leads to waste of time, a valuable resource that cannot be recalled once lost. Although, one does really fail to realize the importance of time management, it is the most crucial aspect of one’s life. Many believe that time management comes into picture only later in life, when an individual enters professional life. However, this belief is hardly rational. 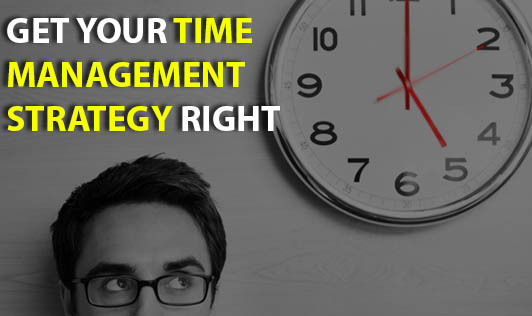 Time management plays a role in every stage and every direction of life. As a school student, if you don’t manage time properly, you are bound to get stuck up in last minute revision before entering the exam hall. As a distracted college student, you are bound to get caught up in last minute assignment submissions. As a laid back home-maker, you’ll never be able to make time for your family. As an unpunctual employee, you will always end up practicing overtime. The biggest advantage of time management is that it keeps you miles away from stress, a major factor that affects physical, mental and emotional health of an individual. And, an individual in a good state of physical, mental and emotional health is always happy and cheerful.